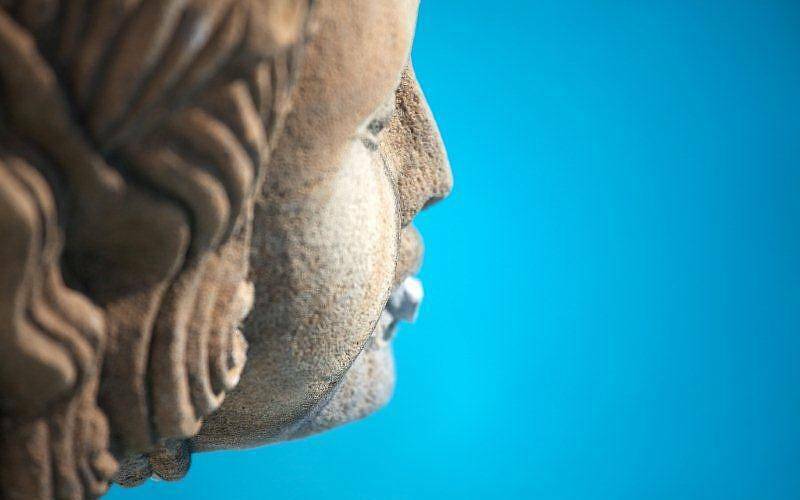 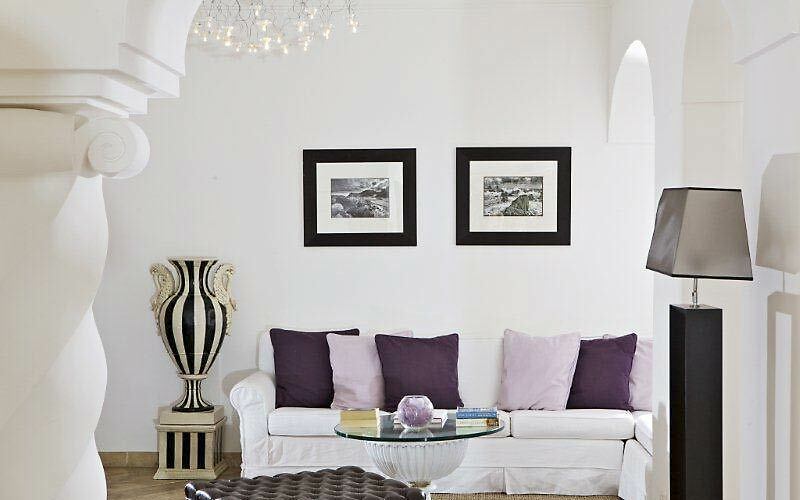 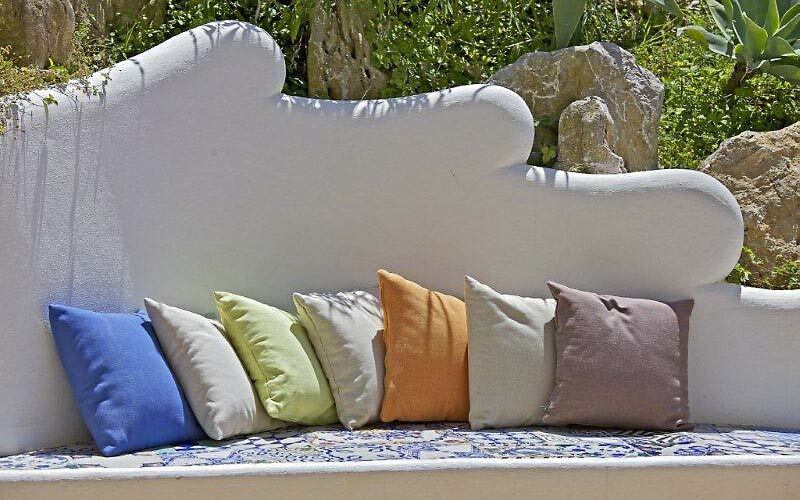 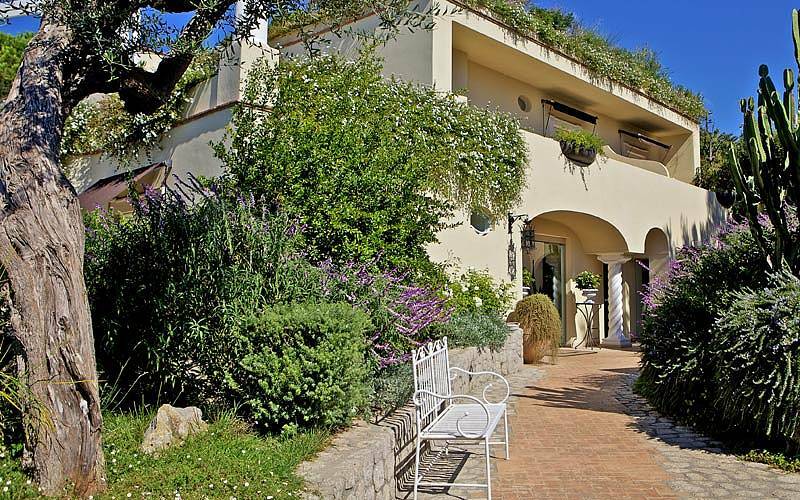 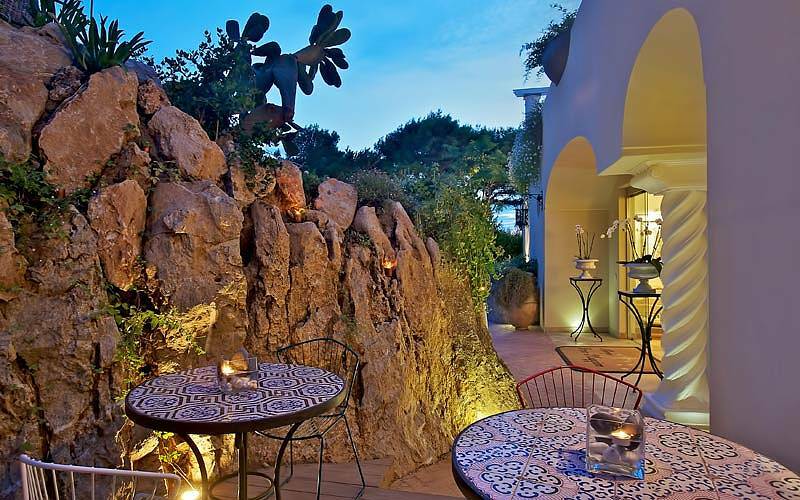 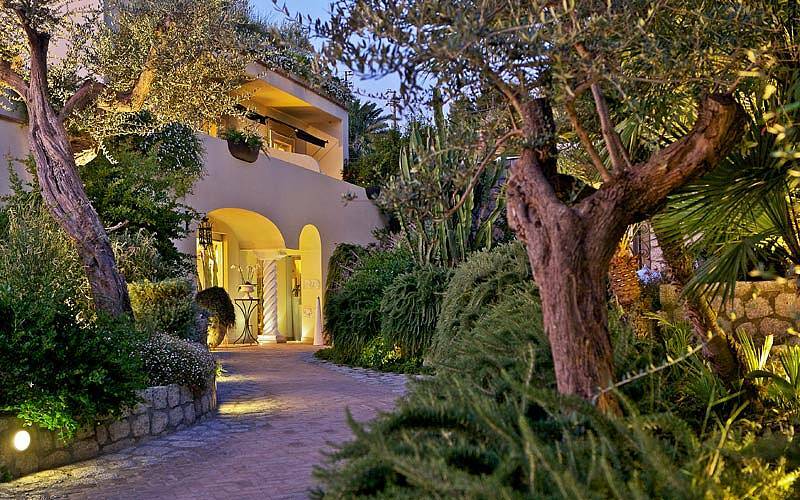 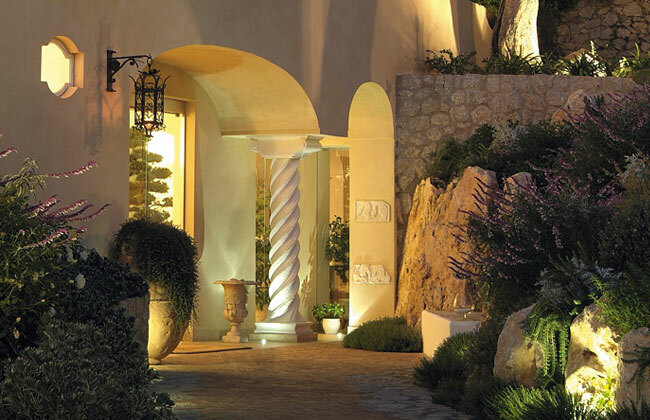 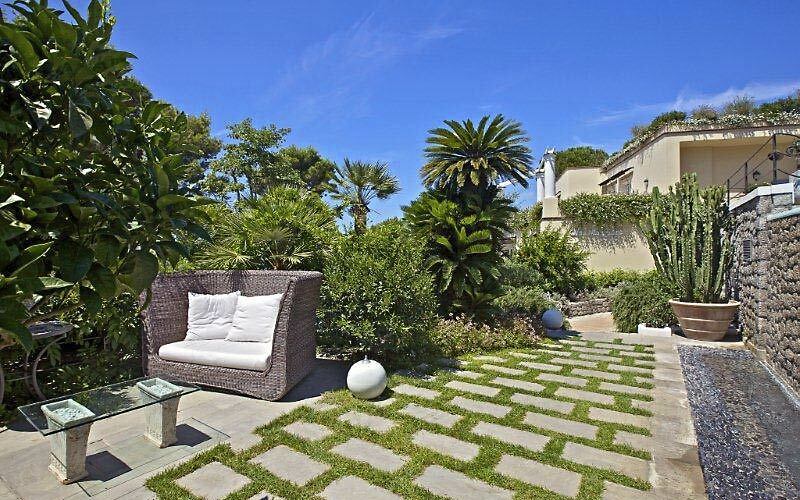 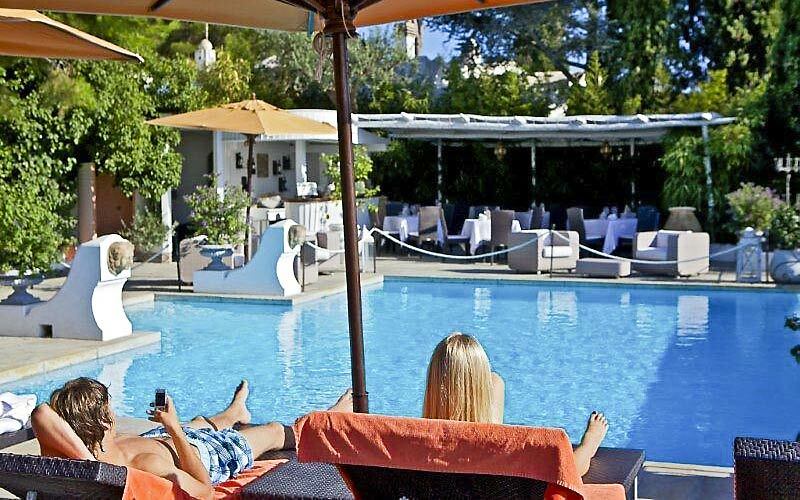 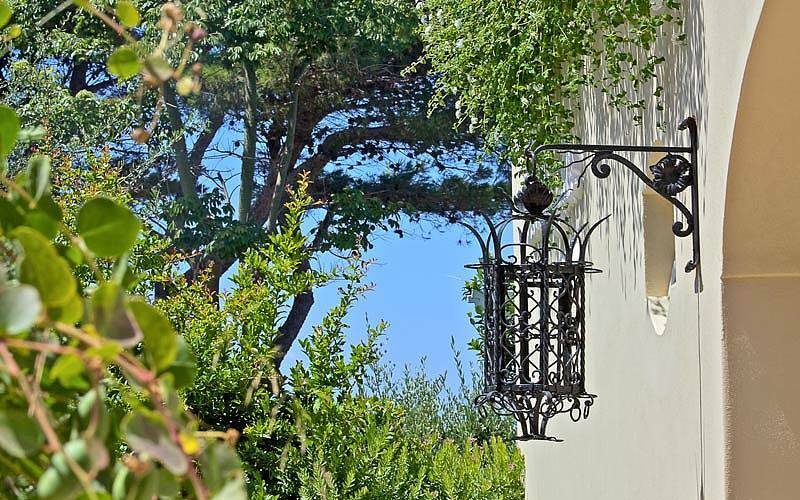 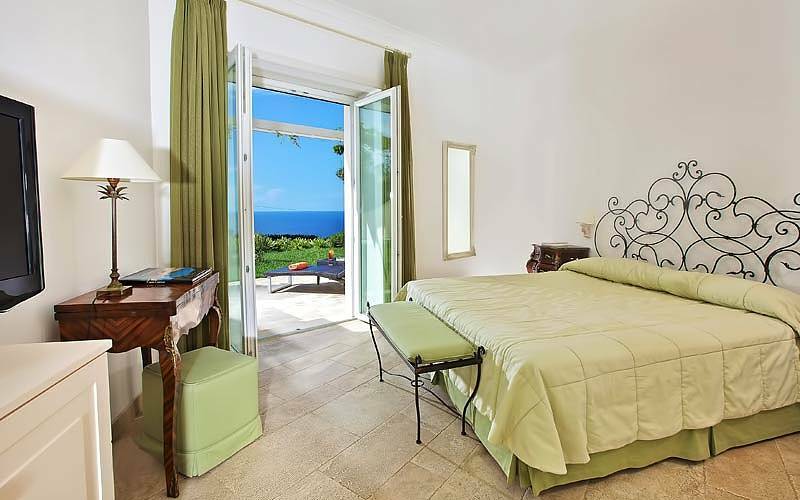 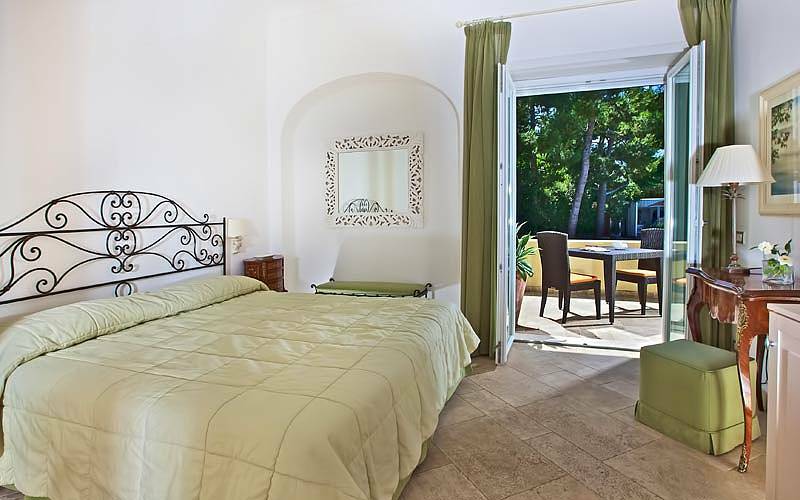 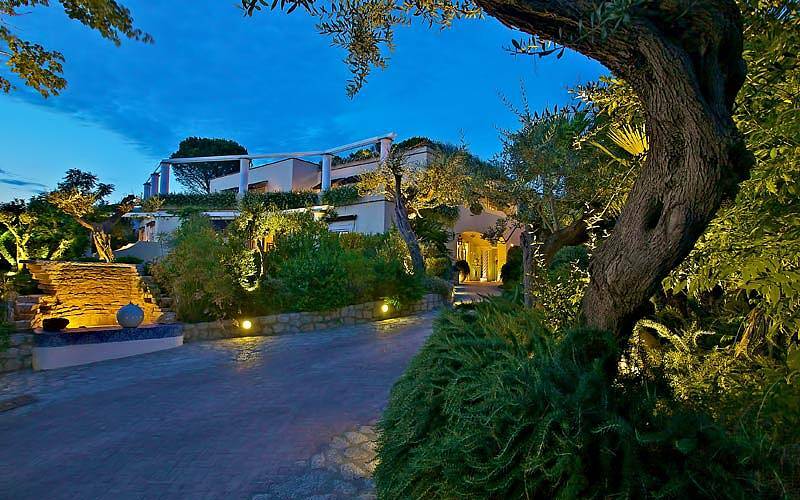 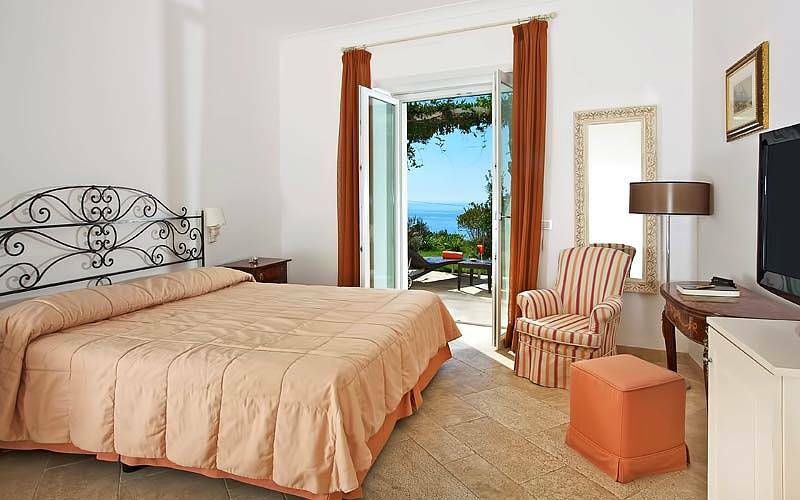 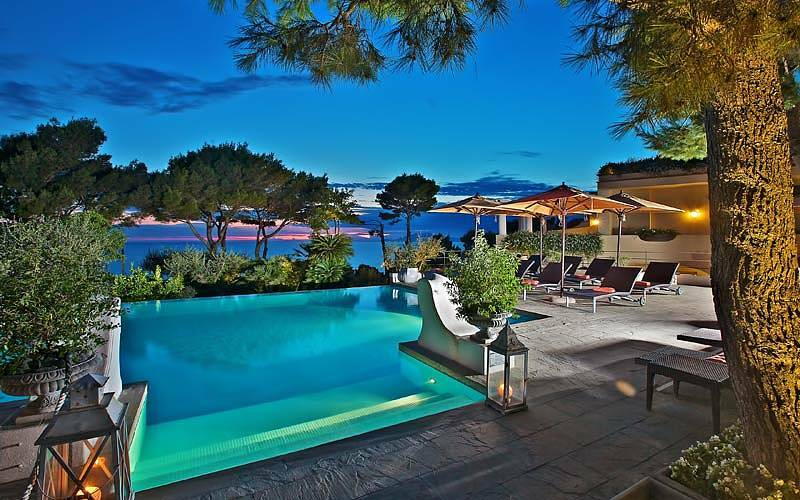 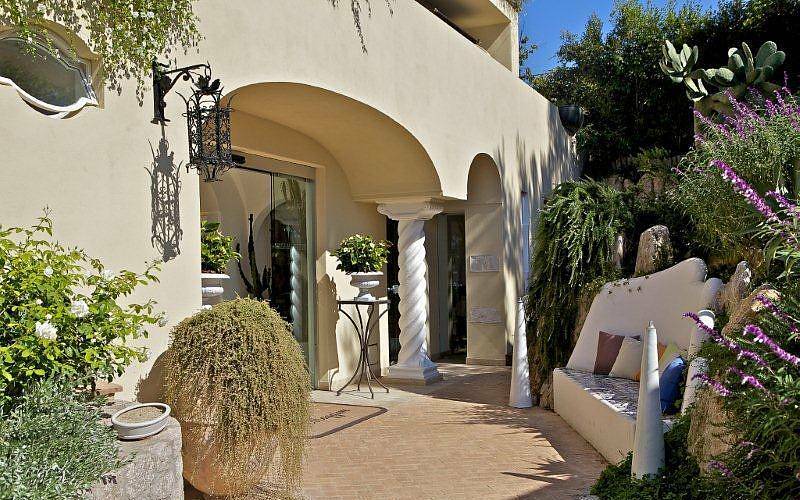 A gorgeous boutique hotel, set in luxuriant gardens and enjoying spectacular views of the sea, Capri's Orsa Maggiore is located just outside the historic center of Anacapri, on the road which leads to the island's famous Grotta Azzurra. 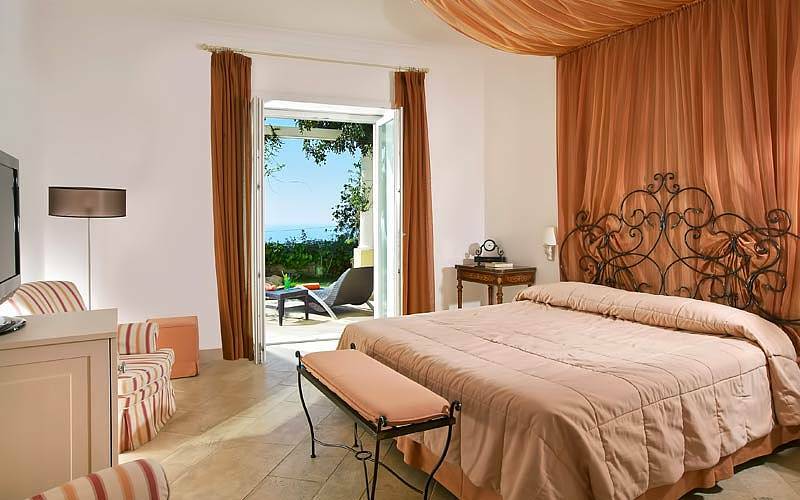 Spacious and filled with light, Orsa Maggiore's individually furnished bedrooms are decorated in soothing neutral shades and equipped with every modern comfort. 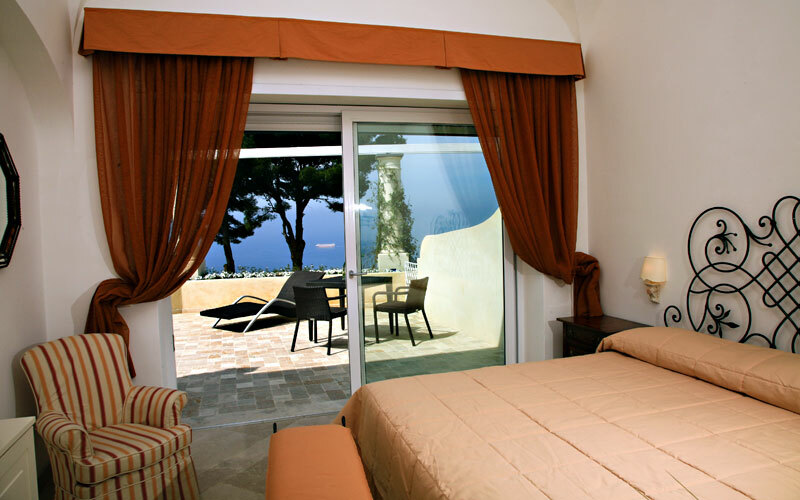 Book a room with sea view terrace and you'll experience the spectacular sight of the sun setting over the sea surrounding Capri, in total privacy. 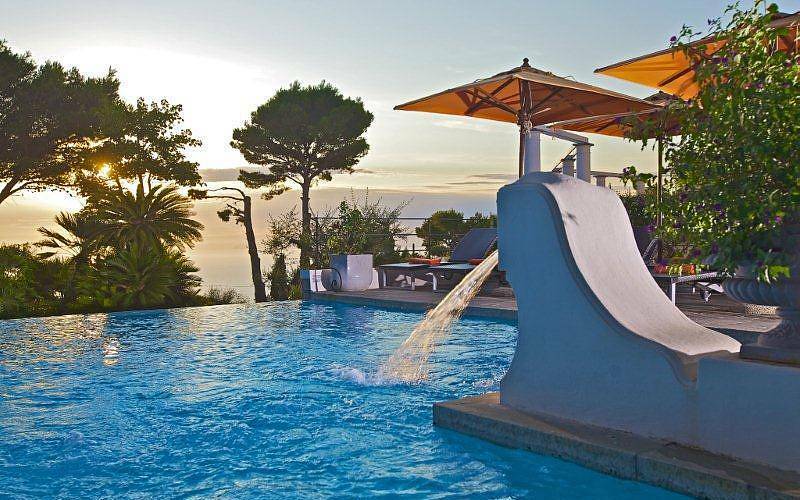 In the warm summer months, you'll no doubt spend much of your time by Orsa Maggiore's panoramic swimming pool: bathing in the Mediterranean sun or simply contemplating the magnificent views of the sea, a glass of the island's wonderful white wine in hand. 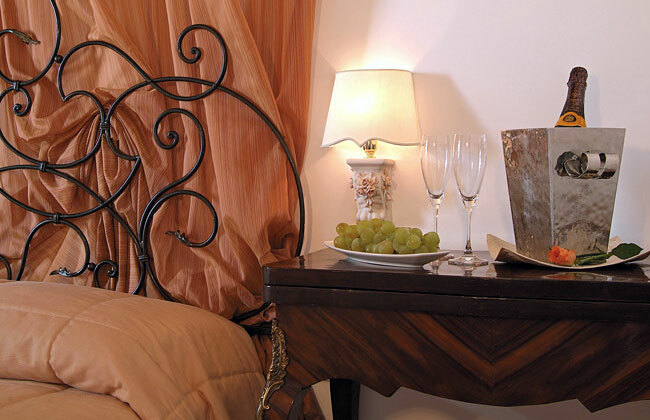 Want to indulge in a little professional pampering? 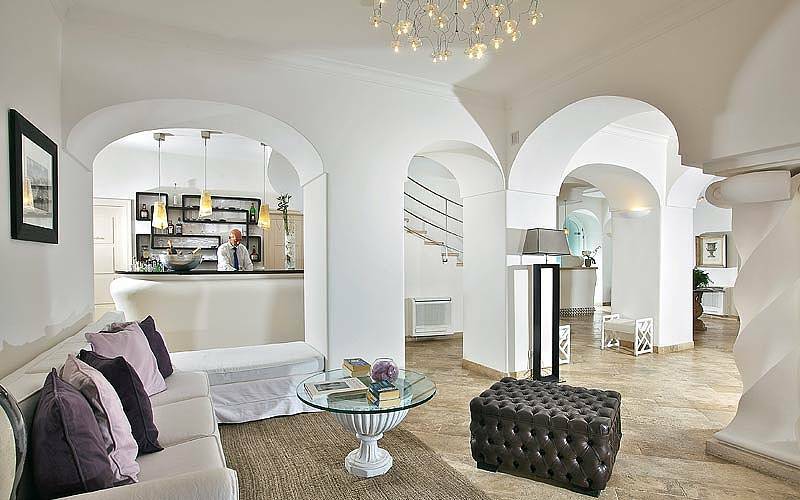 Book a session in Orsa Maggiore's spa! 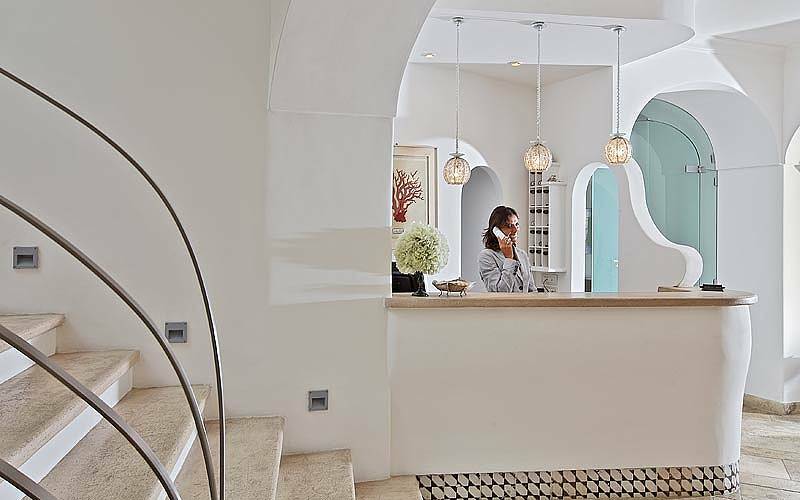 Available for a maximum of two people at any one time, the spa is equipped with sauna, Turkish bath, emotional showers and chromotherapy and is staffed by expert massage and wellness therapists. 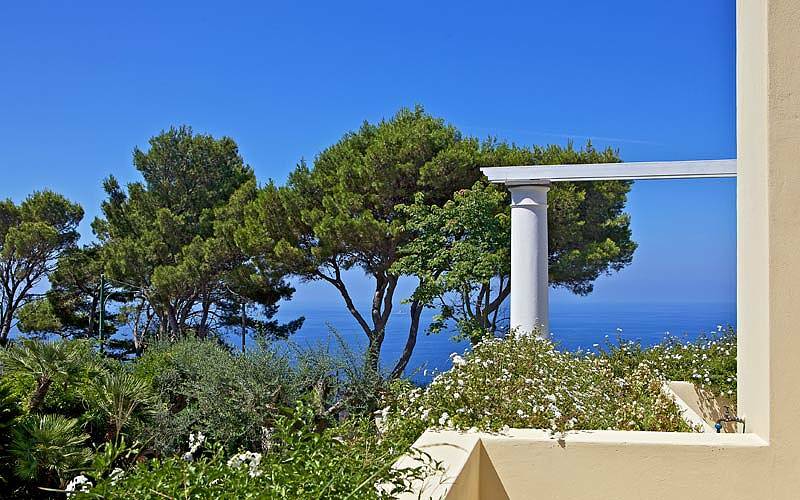 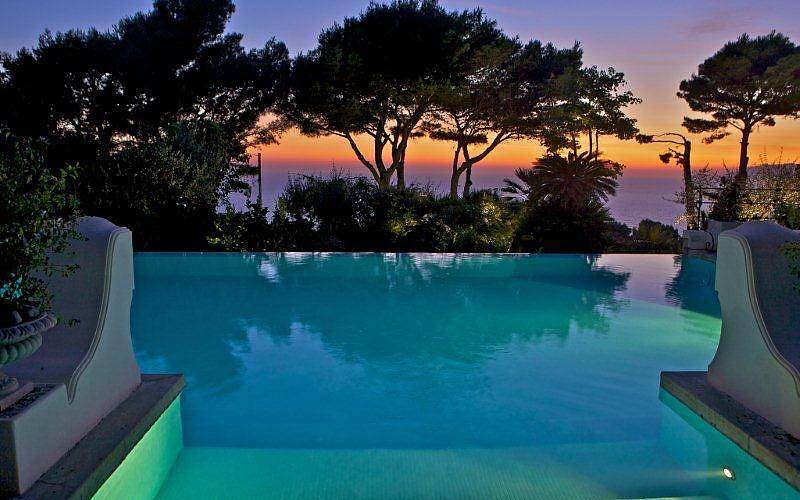 On one side the green slopes of Monte Solaro, on the other a magnificent view of the sea. 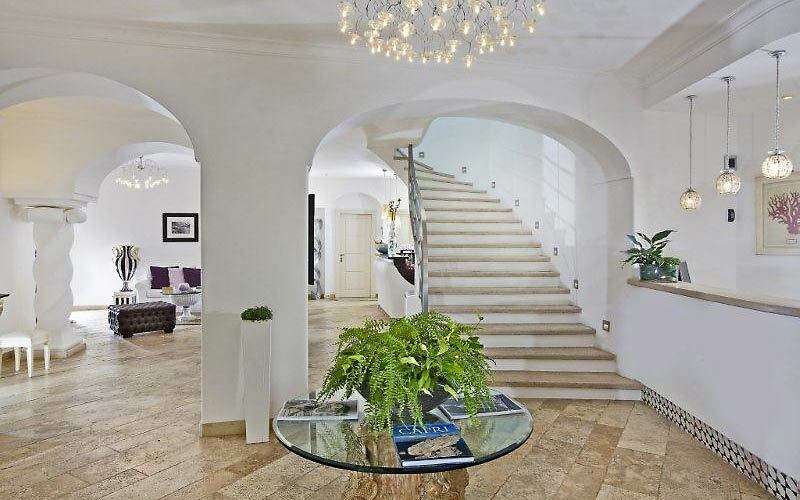 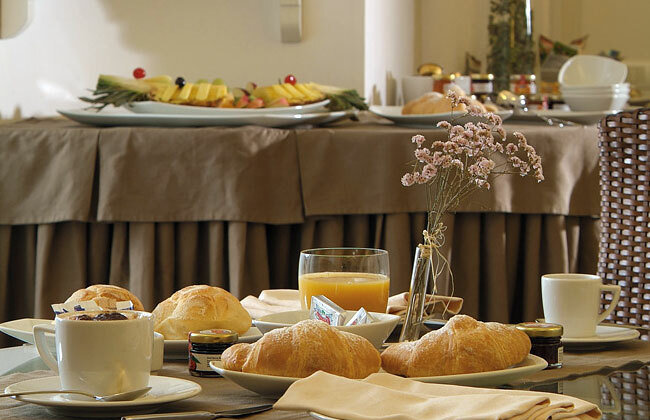 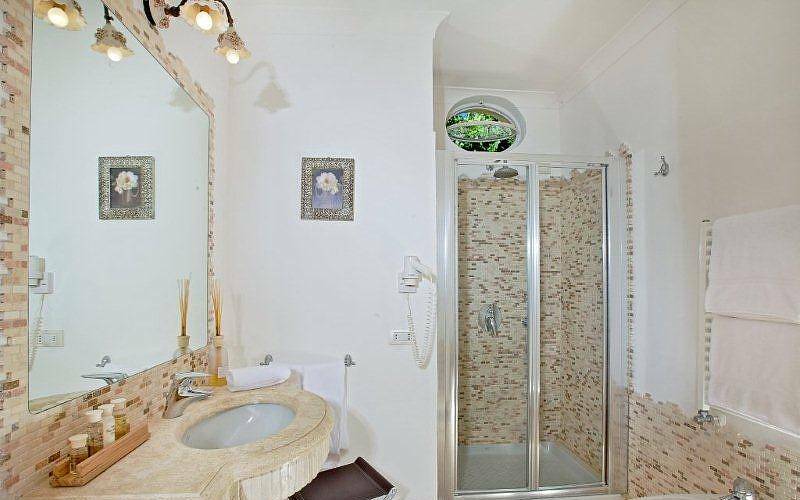 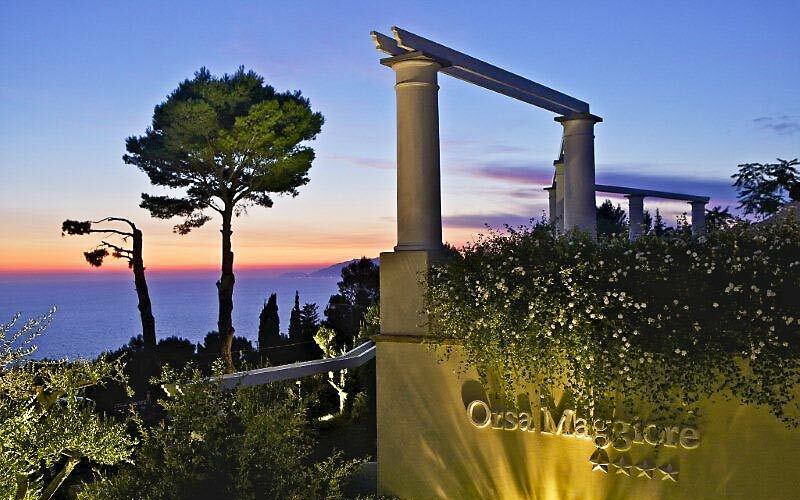 Hotel Orsa Maggiore is located in Anacapri, a pleasant ten minute walk away from the town's picturesque historic center, on the road which leads to Capri's legendary Grotta Azzurra. 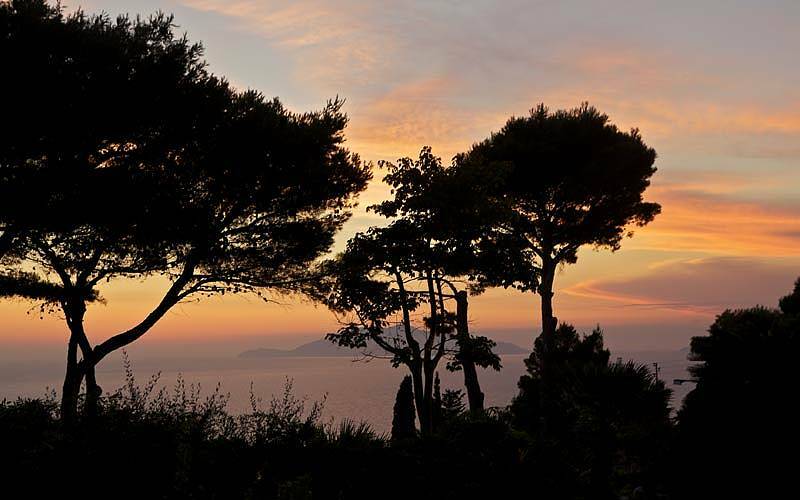 The chairlift to the summit of Monte Solaro, the Casa Rossa Museum and the Church of San Michele are just some of the nearby tourist attractions. 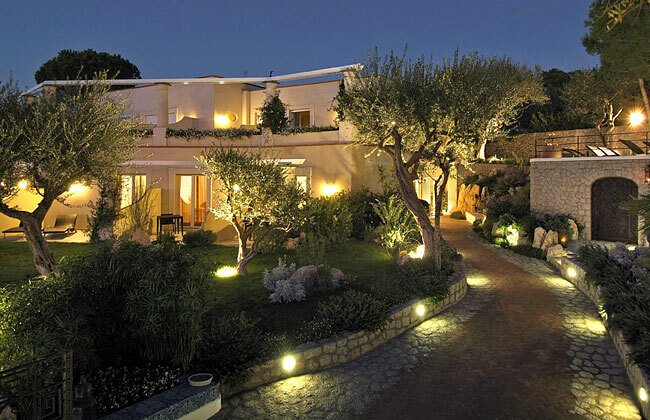 The fashionable Piazzetta of Capri and the island's beaches are no more than a twenty minute taxi or bus ride away. 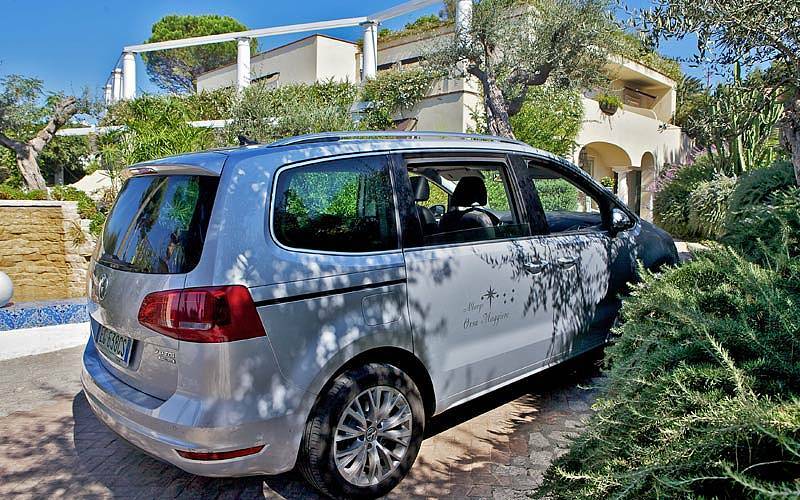 The hotel provides a free shuttle service on arrival and departure. 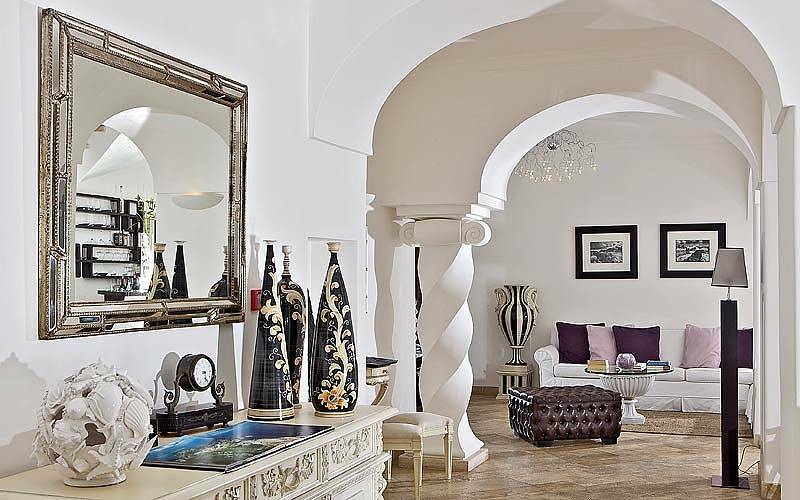 No ordinary hotel, we have created Orsa Maggiore to look and feel like a private home, in which guests can relax and enjoy the warmest of hospitality.